Eden is nominated as one of the 4 players that can win the Best Player award in France, awarded by the national union of French football players. A great playing Hazard guided Lille to victory over Paris Saint-Germain. First he scored from penalty, later he prepared the 2-1 via a magnificent pass. 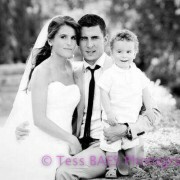 Eden Hazard married Natacha Hazard in all secrecy. So far the best Video demonstration Eden’s techninal skills on the internet. 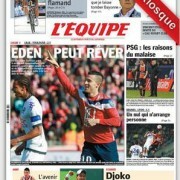 Frontpage news in Léquipe: Eden lets Lille dream again of a new title. Eden’s recent great games haven’t gone unnoticed. Once more on page number 1 of French newspaper L’équipe! The newspaper describes his performances at certain occasions with “WorldClass“, and concludes Eden is … simply the best player in France. Eden Hazard puts Lille back in the race with his last performances. .
Eden Hazard currently vice-topscorer in France, with 14 goals and already 11 assists. Eden has already scored 14 goals in 30 games, and is behind Olivier GIROUD, the promising attacker of Montpellier.